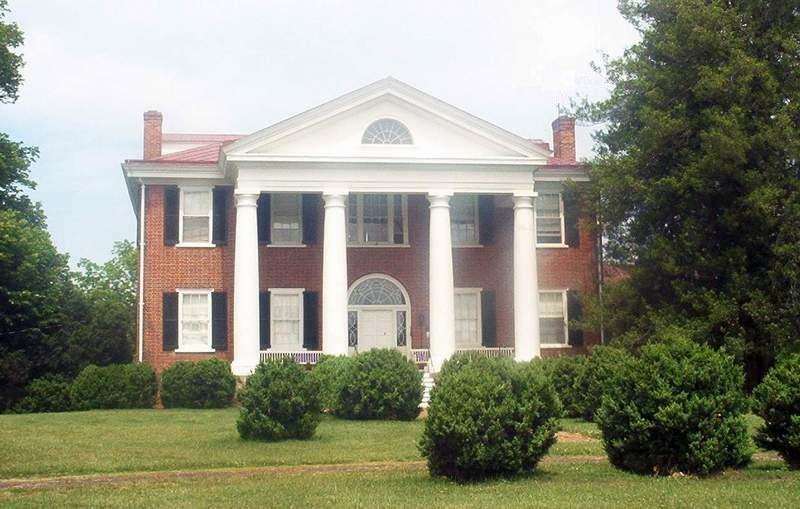 Built 1814 - 1822 by James Barbour, partly after plans made by Thomas Jefferson. It was burned on Christmas Day 1884. Barbour was Governor of Virginia, United States Senator, Secretary of War and Minister to England. Circa 1850. At the eastern end of the Blue Ridge Turnpike. 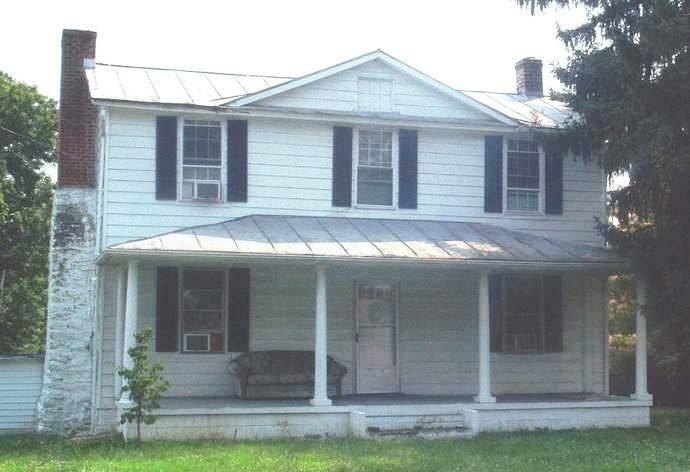 The tollkeeper's house has been modernized and remodeled into a private dwelling. 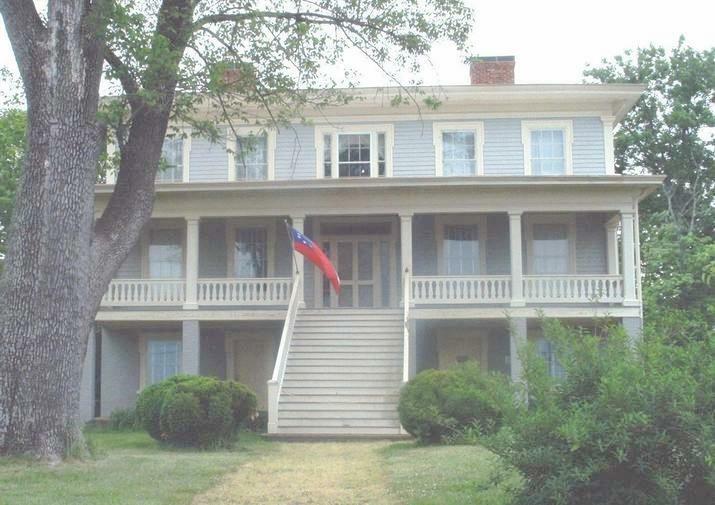 Built in 1859 by original owner Alexander Daley, a tanner by trade, he outlived two wives and kept the house for several years after the death of his second wife in 1881. He sold to Reuben Conway Macon and his wife. Macon was a great-nephew of President James Madison. Macon a farmer also serving as the town's postmaster for several years in the 1880s. Today Chestnut is a bed & breakfast. 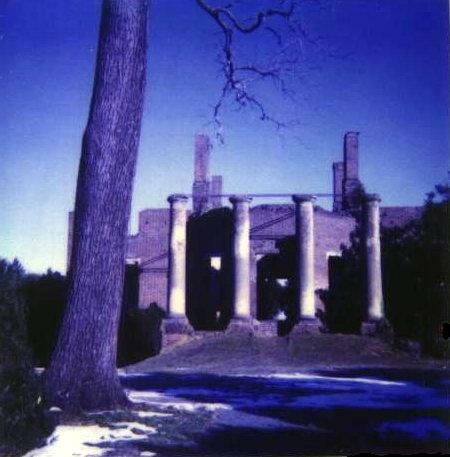 Its on the Virginia Landmarks Register and National Register of Historic Places. Photographed 11 May 2010 and Contributed by George Seitz. 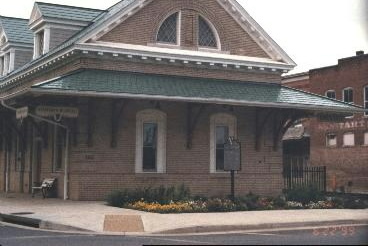 the old depot in the town of Orange. Circa 1860. B.F. Eheart lived there. 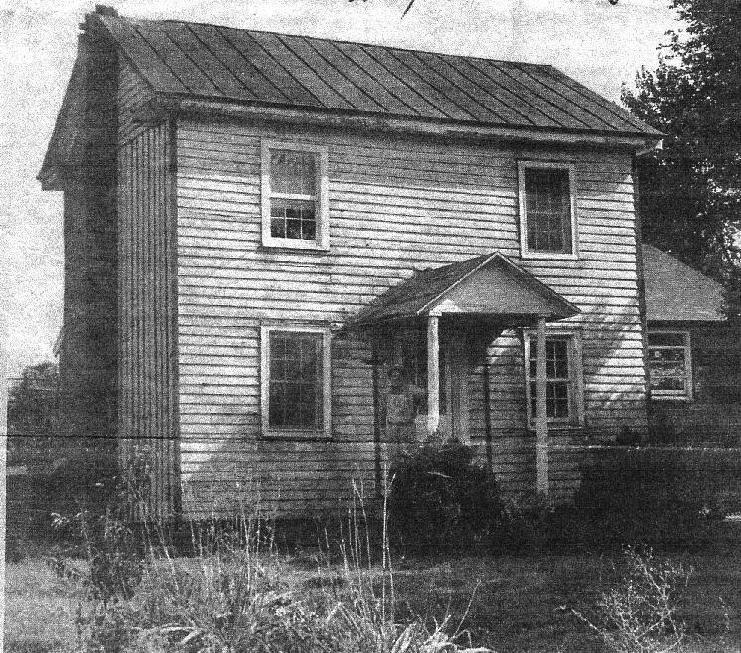 He ran a general store that contained the post-office at the crossroads of the Old Ridge Road and the Rockingham Turnpike. Photographed 22 Jun 2010 and Contributed by George Seitz. 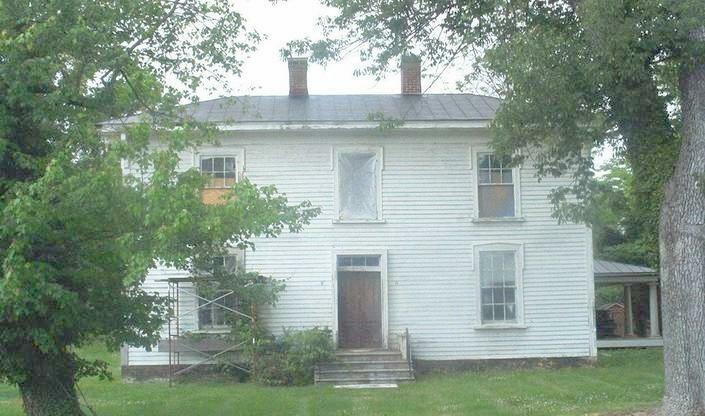 Building date: 1780 or 1782, Builder: William Jones. 15 miles west of Fredericksburg on Rt. 20. Primary owners: William Jones, Lacy family, Hugh Willis, Leo Jones. 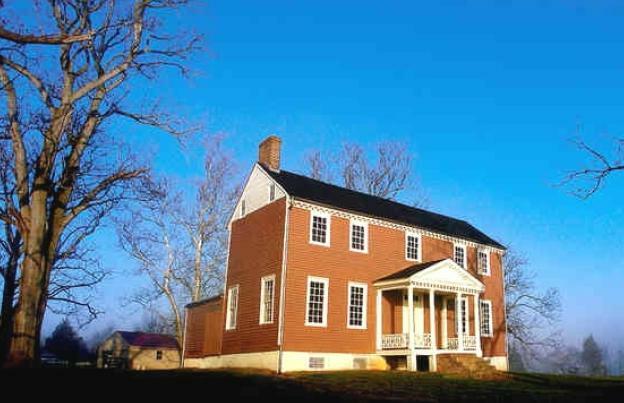 Jones employed Hessian prisoners of war to build the house. 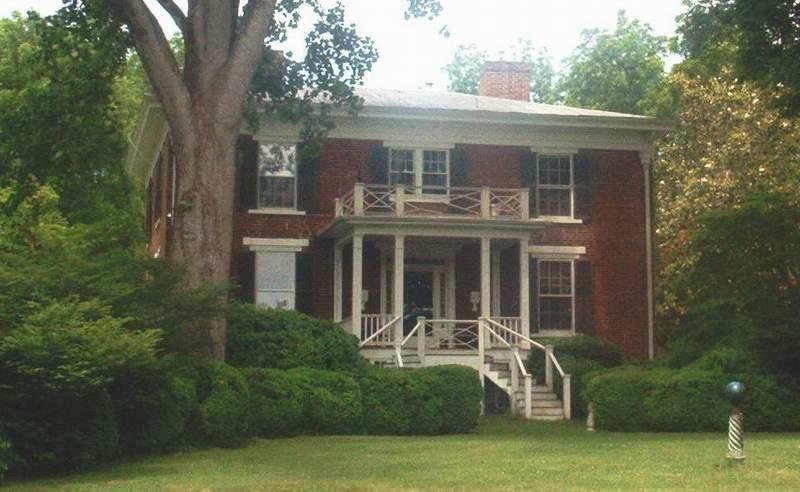 In 1824 Lafayette visited here and the house served as a Union headquarters during the Civil War. It was also a hospital. The most interesting association is that Stonewall Jackson's amputated arm is buried here. Circa 1860, it was a military hospital during the Civil War. The Greek Revival hotel is three stories tall and retains much of the original woodwork. 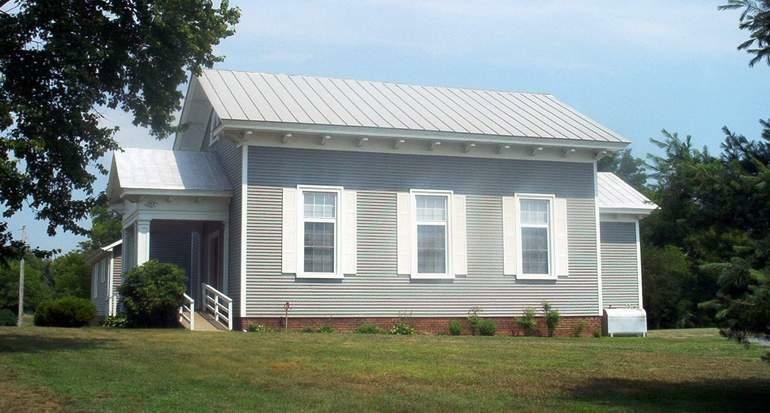 It now contains exhibits on Civil War Medicine and local history. 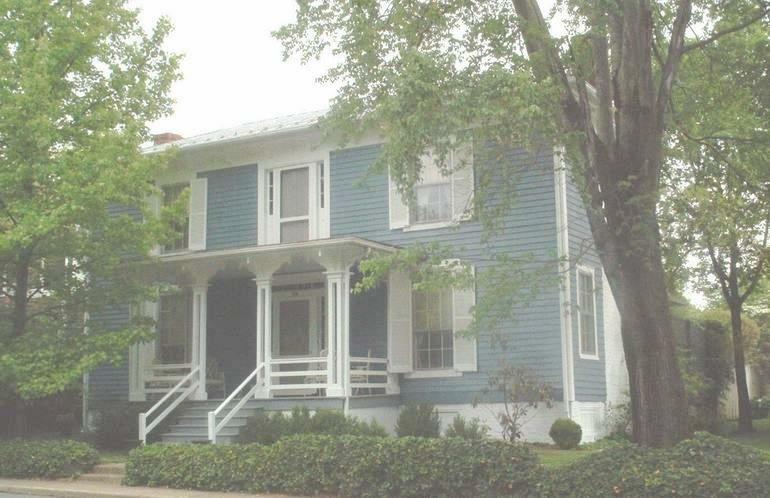 The oldest surviving residence on Main Street in Gordonsville. 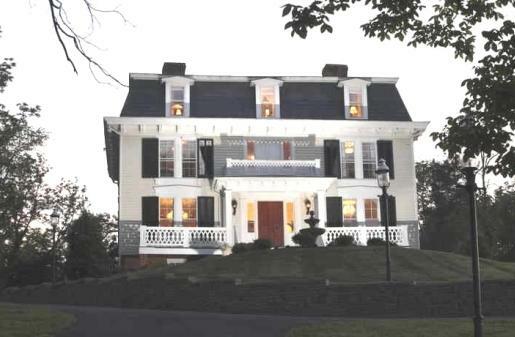 It was built in 1856 by Benjamin Faulconer, the owner's brother. It has imaginative details in the decorative woodwork. Completed in 1823 for Phillip Pendleton Barbour. He was a judge who served in the Virginia Assembly. Eventually he was Speaker of the United States House of Representatives and then a Justice of the United States Supreme Court. Circa 1855. At the crossroads of Eheart, it was built as a story and a half and raised to its current height. A fairly typical frame over stone village dwelling of its era. Circa 1856. 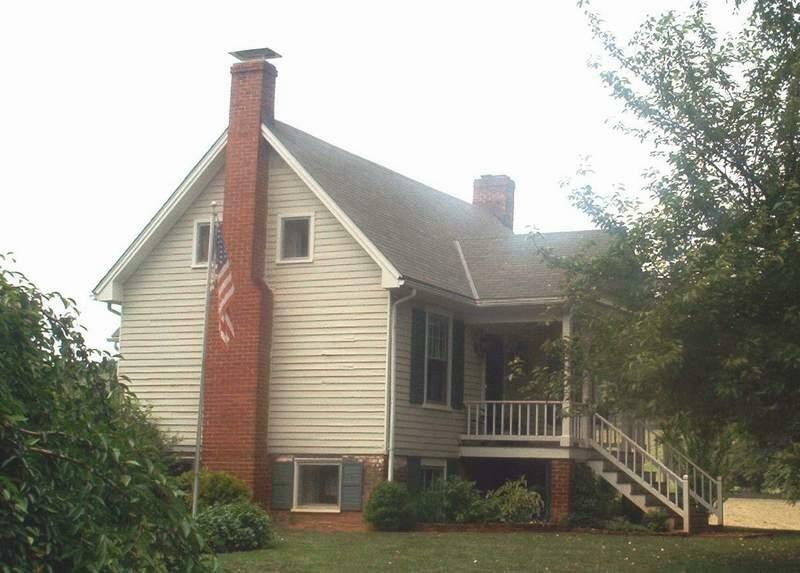 It was built as a two-story brick dwelling over a raised English basement. 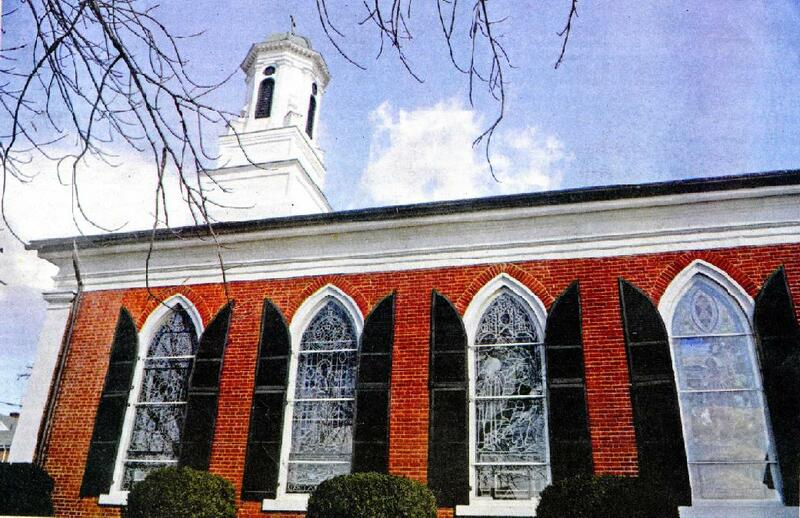 The roof was raised and other remodeling has given it its Georgian Revival appearance. Circa 1830. A frame house with brick end chimneys. 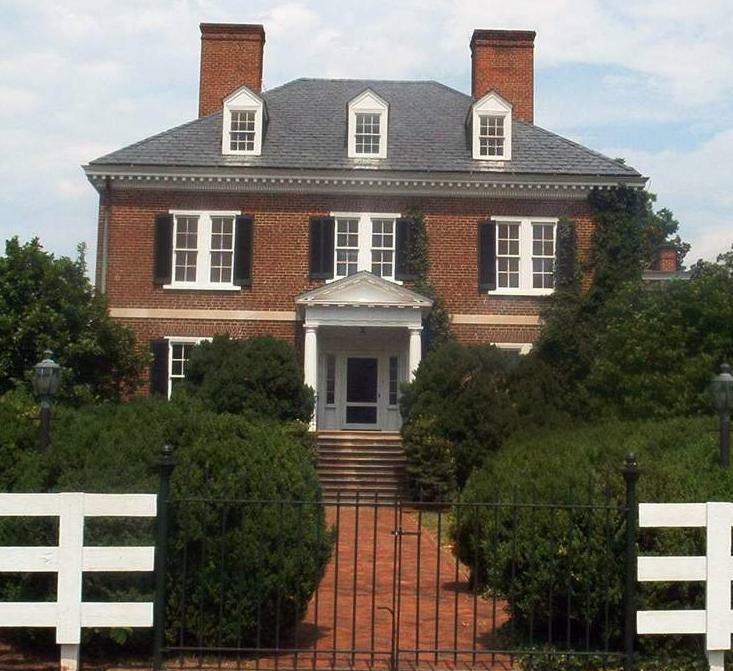 Built on a hall-and-parlor plan, it has had several additions. 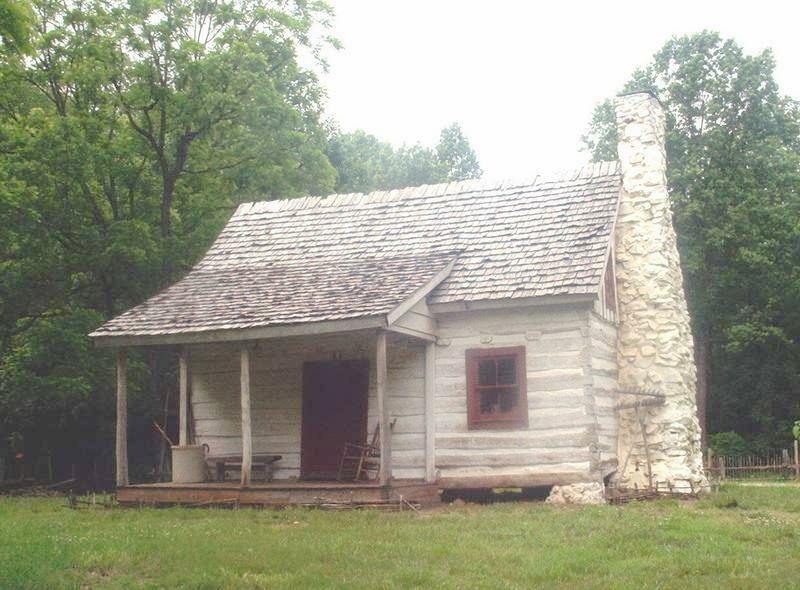 This log house faced with plank is said to have been built in 1853 by William Henry Martin (1819-1890) who was Justice of Peace in Unionville. In 1963 the house was owned by Lee Waugh, was torn down and a new house was built in the rear of the property. 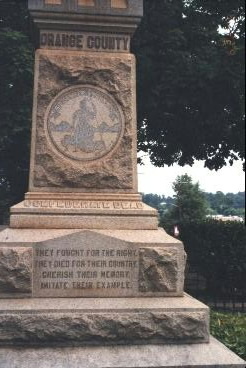 This is the monument to the Confederate Dead that stands next to the courthouse in downtown Orange. 119 Caroline Street. 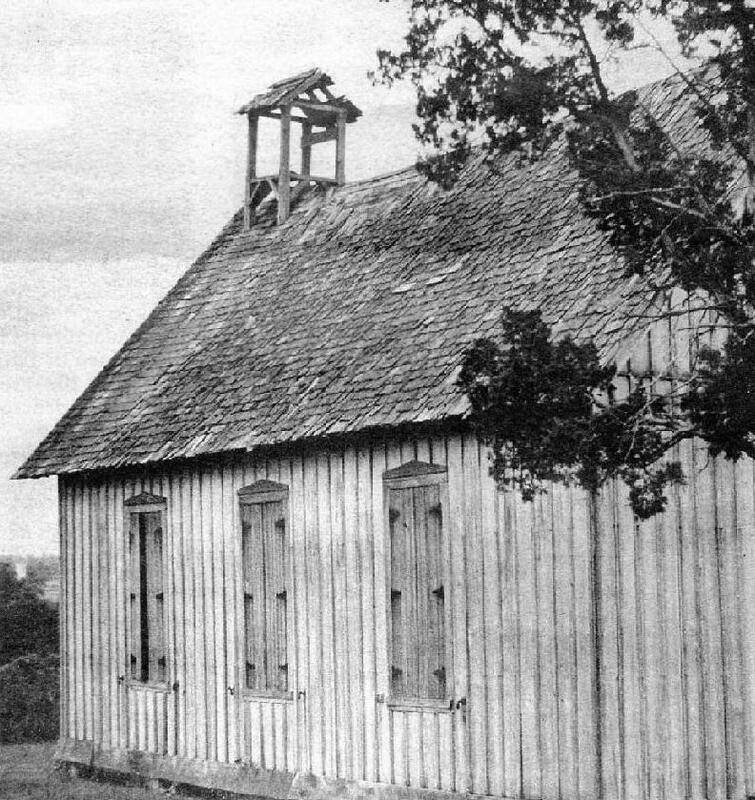 Oldest church in Orange, Founded in 1740. 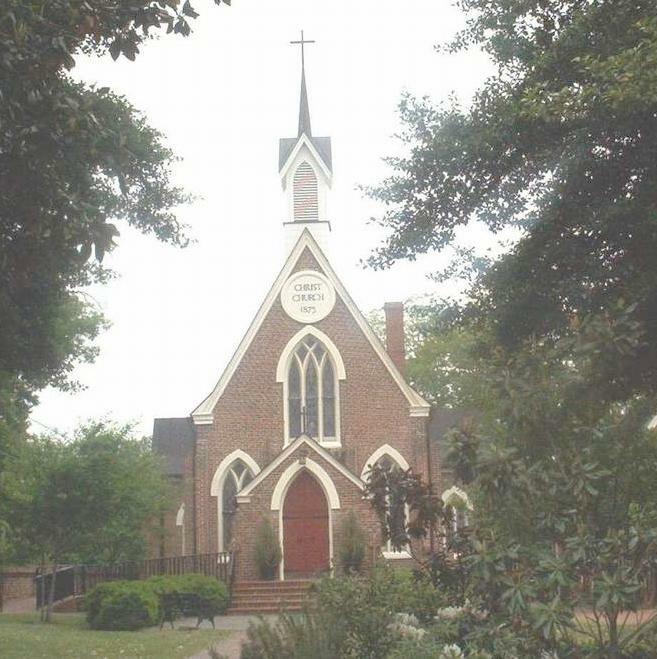 On November 22,1863 General Robert E.Lee and Jefferson Davis attended services here. 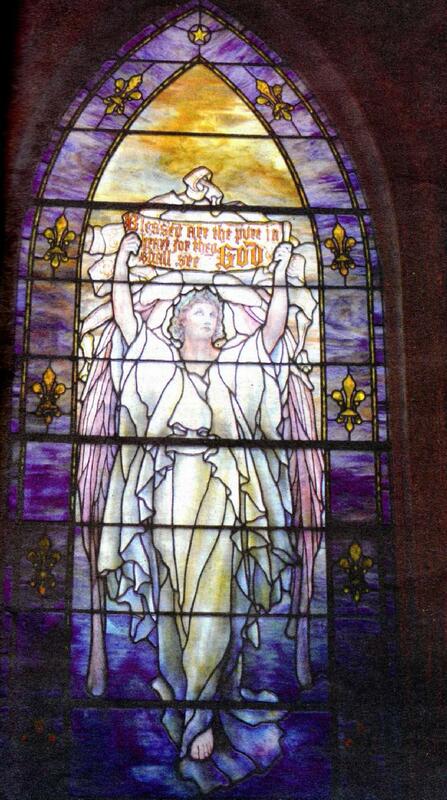 One of its stained glass windows. Circa 1859. 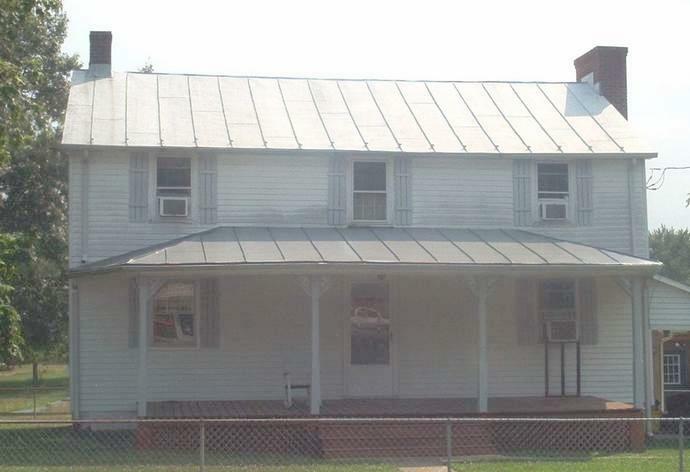 Built as a simple rectangular structure, it was given unique details such as an overhanging roof, curved exposed rafter ends and Tuscan porch columns.